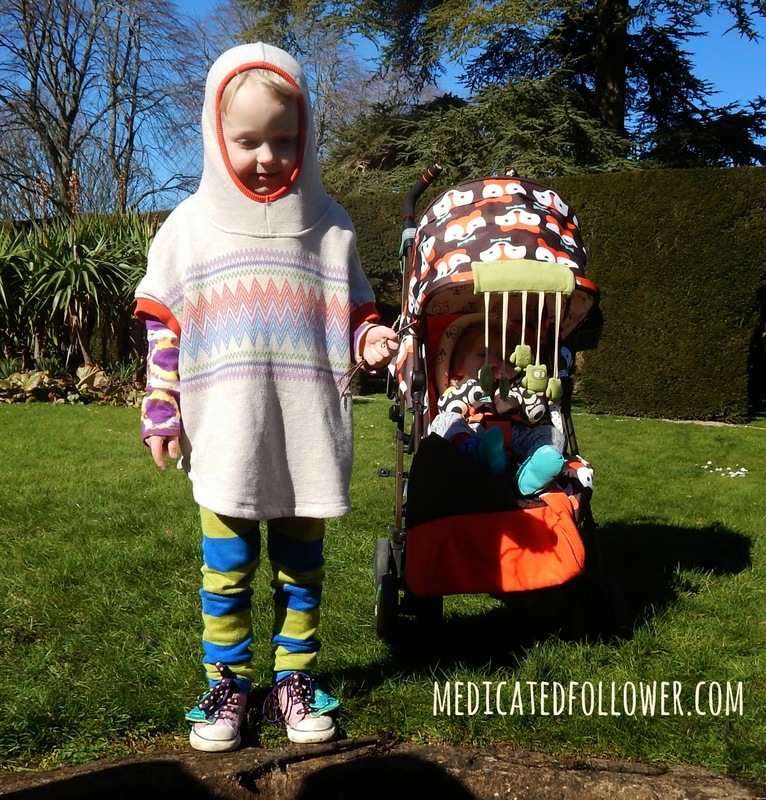 Medicated Follower of Fashion: Trendy Thursday - I'm Superman! Trendy Thursday - I'm Superman! Ethan isn't really all that into Super Heroes but since starting school he is mentioning Superman, Batman and others with increasing frequency. He now likes to wear his coat with the hood up but without his arms in his sleeves so he can "fly with a cape!". I expect all the children whiz around the playground at breaktime, that's where I assume he gets it from! Where am I going with this? Well, a couple of years ago Boys & Girls Shop sent us a rather amazing poncho for Ethan. At first, it was a bit big on him and he found it overwhelming to wear, but as he's got older, he's really come to love it. It isn't something that gets a lot of wear over winter - you can't really fit it under a coat so it can only be worn if you know it's going to be dry. However, it really comes in to it's own in Spring time when the weather is dry but still chilly. It works well over layers (it's huge, you can fit loads underneath!) and best of all, as far as Ethan is concerened, it is a cape and therefore, he spends the day as Superman, whizzing about! It's just a bonus that he looks super cool whilst he does so! 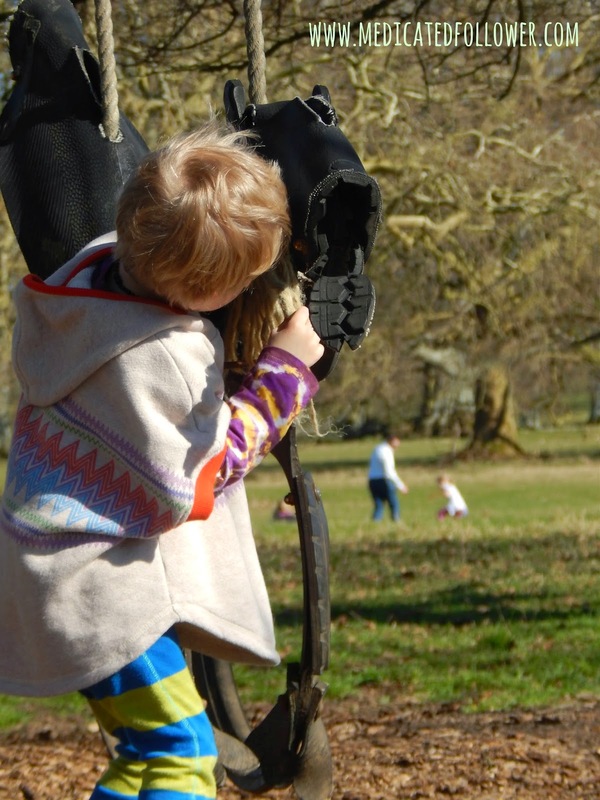 Do your children like to use an item of clothing to make themselves into someone else? 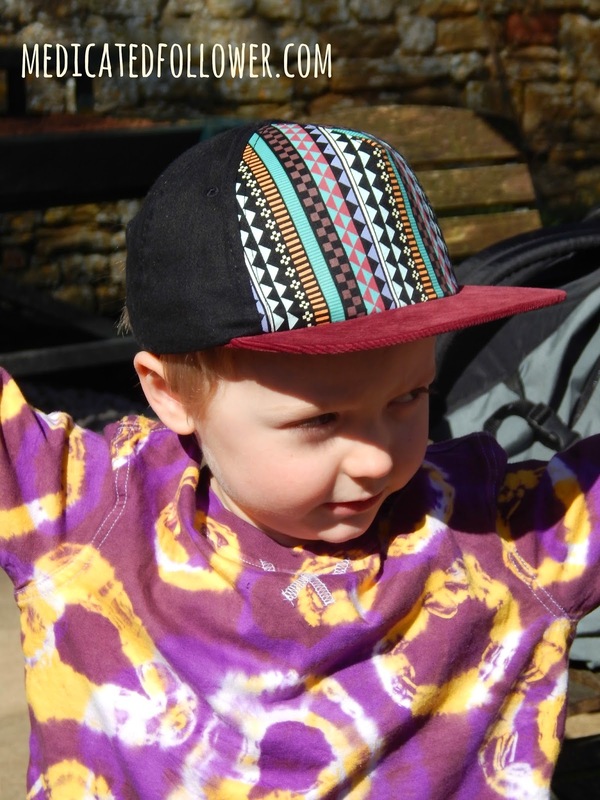 As it's #TrendyThursday you can link up your children's fashion blog posts below. Link to me in your blog posts and/or us the TT badge. Please don't forget to comment here and visit the others who join in, even if it means popping back the next day to see who else has joined - it's all part of the fun! 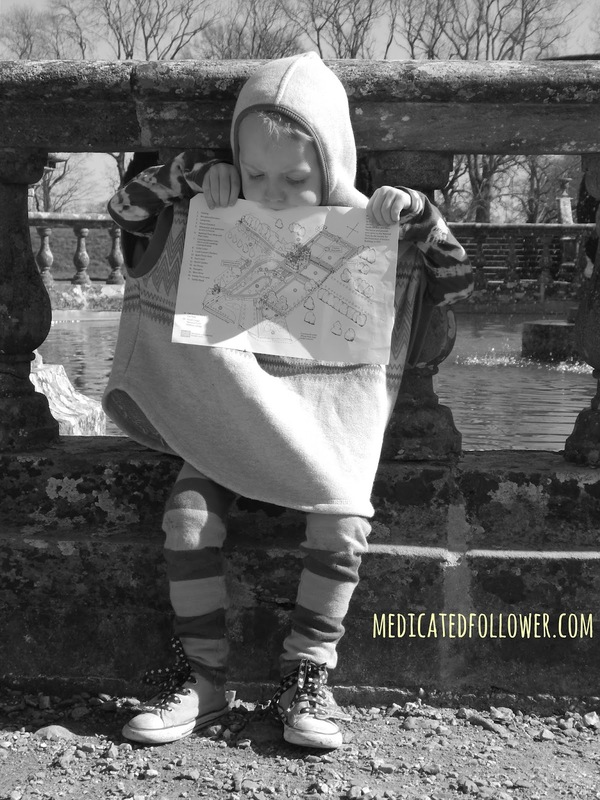 You can tweet me as well @medicatedfollow. I absolutely love everything that he's wearing, and it's reminded me that I want to try tie-dying some vests for him for the summer :). He's too little to be into superhero stuff but to be honest, I'm not uber-encouraging it! Leggings, leggings, I LOVE leggings! Trendy Tueday - knitwear love! Clouds go away, Clogs come out!